Warm those fingers up because it’s BINGO time!! Play Bingo games @ Bingo Bash – The best Bingo app EVER! Play the world’s #1 BINGO GAME with the best Bingo players of all time with the famous Wheel Of Fortune Bingo! Mix up your bingo game with some of your favourite 777 slot machine games like Stars & 7s Slots and many more slot games! Join millions of live Bingo players from across the globe, play in over 30 Bingo rooms with 13 different ways to win and call bingo! 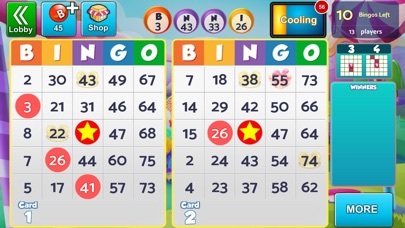 Play multiple Bingo cards at once and make those bingos pop right out. Compete in real time against millions of live Bingo players & WIN BIG @ Bingo Bash by GSN! Play with Power Plays and complete collections to win huge rewards for daubing all the bingo balls. Play live bingo and listen to the bingo caller for your lucky numbers to win at bingo Play with friends and chat while you’re playing Bingo and team up with them to uncover huge rewards and bonuses! Earn more coins with the best slots games. Fly around the world in our classic Bingo rooms: - Experience the wild bingo side of nature in the Serengeti! - Live like a God in the Temple of Zeus! And play bingo with him!! - Hit the Las Vegas strip for high-stakes casino bingo games! Experience Bingo like never before with our special Bingo cards! 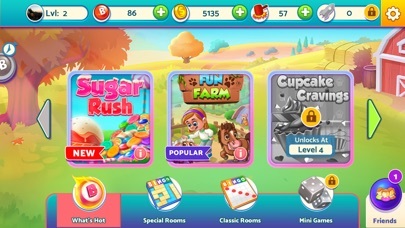 - Hunt for treasure, defeat zombie hordes or run your very own pet spa in this unique Bingo room! - Play in our special Holiday themed Bingo rooms to make your holidays memorable! Try out our Christmas bingo coming soon! - Play our most exciting live Bingo room – Wheel of Fortune® Bingo! Wheel of Fortune® meets Bingo in an extraordinary partnership. America’s #1 Game Show & America’s best Bingo game come together at last! Walk on to the famous Wheel of Fortune® stage - and play the world’s best Bingo there! Win unprecedented Bingo bonuses in the Wheel of Fortune® Spin & Win with slots Mini-games! Play our awesome Slots, scratch cards and Mini-games, and win huge rewards! Install now & start playing BINGO GAMES! • Bingo Bash is intended for a mature audience. 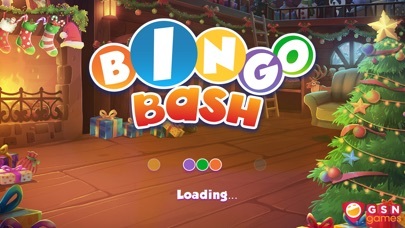 • Bingo Bash does not offer "real money gambling" or an opportunity to win real money or prizes. • Past success at social casino gaming has no relationship to future success at "real money gambling". Unless you plan on paying for chips to play don’t waste your time. This could be a fun game but the amount of chips per game does not equal what you need to put in for any length of play time. I used to give this game 5 stars, but have gotten very frustrated with The Pull Tab section!! Why does it automatically take 2-3 pulls when you only want 1??? I had 1 free pull and it automatically starts taking away my Bingo Chips because it won’t stop until I physically log out! It used to work perfect, but I’ve noticed the last few months it does this and finally decided to mention it! Thank you! I’ve been playing this game for a 2 or 3 yrs. Always use to enjoy the game. Last couple months I’ve experienced nothing but problems. I’ve played on both IOS and Android and experiencing the same problem. I keep getting dropping from server and have to reload and now have to log back into Facebook also. The Facebook thing is a new issues. What makes it worse is it keeps happening in cycles and I end up losing my chips and bingos if I had some already. I’ve put money into the game and seems since I done that I no longer get free chips in emails and to buy more you have to spend more then before for less. Also they took away watching videos for free chips. About to move on from this game even though it’s one of the best bingo platforms but when I can barely play it’s not worth the trouble. I’ve sent reports but none have been answered. Excellent - I wish I could win second with Every game !!? I’ve been playing this Bingo for probably 6+ years, almost nightly and it’s the best around. But, I’ve been having the worst issue with the new update and loosing chips to the app continually crashing. I’ve probably lost 100+ chips in the last week because the app crashes like crazy. Maybe a new update that fixes the crashes is needed! I just spent 32 chips playing a game with the Turkey and on the second game I played the turkey eating the corn froze up after taking two bites across. It stayed froze up through the entire game. That’s not good at all! 12/16/18 I spent 32 chips on a game and it started and then went back to the beginning saying Reconnect to Internet. My internet is on and I got up and checked to see if it had gone out but everything was working fine. My iPhone was working fine but on my iPad I couldn’t get it to stay on the game. It would show the the numbers that had been drawn and then immediately go back to the beginning saying Reconnect to Internet! By the time I got to the game again it was over! 2/1/19 I bought 90 rockets for $2.99 and it then requested that I go to Settings which I did and I had to put my Security number from the back of my card which I did and then went back to the game and my 90 rockets never showed up. I’ve checked it several times. I hope I don’t get charged for the $2.99 if the 90 rockets didn’t show up. Please let me know. Thank you! A loyal fan of Bingo Bash! 2/2/19. Thank you Bingo Bash for putting the 90 rockets that I purchased on my game. I appreciate all that you do for me. ❤️ 4/17/19. I just spent 32 chips to play the Monster game but there weren’t enough to play and it asked if I wanted a refund and I clicked on it but never ever got my refund. Love ❤️ Bingo Bash to the moon and back!